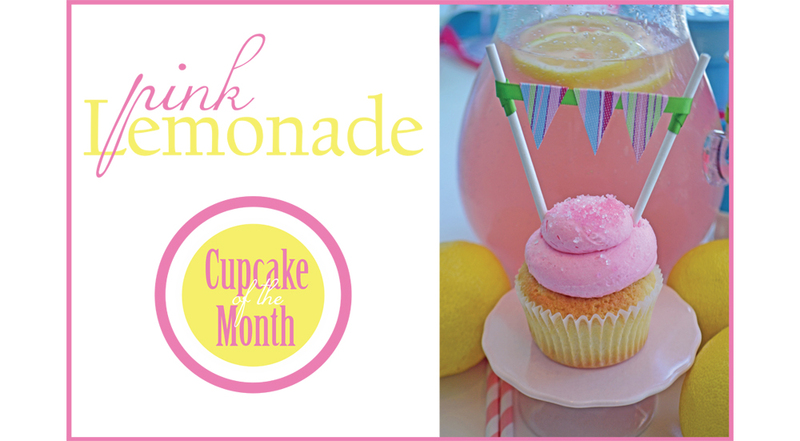 Cupcake of the Month - Pink Lemonade! Bake Sale Toronto introduces our Cupcake of the Month for July - Pink Lemonade! Tart lemonade icing on fresh vanilla cake, topped with pink and clear crystal sprinkles. A perfect treat for the long sunshine days of summer.